Enjoy practicing basics of "Ninja" technique from an instructor. Then visiting the oldest Buddhist temple in Tokyo, Sensoji Temple, and places of amusement near by. 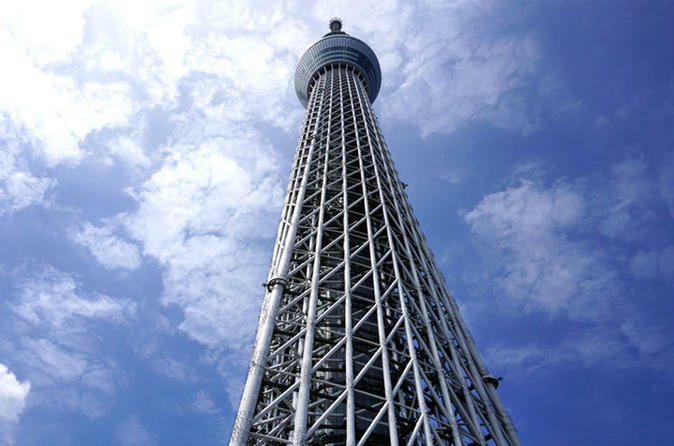 Lastly, moving to an observatory of the world highest tower "Tokyo Sky Tree" for broadcasting use. A "Ninja" in feudal Japan was Japanese covert agent with special missions such as espionage and infiltration. On this tour, an instructor will help you to practice three basic parts of being a ninja: Sword-handling, Concealment methods and Shuriken blade throwing. Then, you will walk around souvenir shops along the "Nakamise" Street and visit the Sensoji temple and other places of amusement nearby. After roaming the Asakusa area, you will head to the Tokyo Skytree, which at 634 meters is the world's highest self-standing tower used for broadcasting. There, you will get a chance to see the view all around Metropolitan Tokyo. On a clear day, you can even see Mt. Fuji from the Skytree! On this tour, you will experience the fusion of both modern and traditional Japanese cultures. 2. First, you will head to Shinjyuku, you will spend about an hour to be trained on Ninja technique. 5. You will head to the Tokyo Skytree to see the view overlooking the city. 6. You will be dropped off at your hotel at around 5pm.